We are always on the look out for interesting wines for our wine list and work with a small number of suppliers who source interesting organic and biodynamic wines from producers whose wine-making practices are carried out with love and care. A new and exciting experience at The Wine Bank, and certainly the most entertaining, is to sample wine from our Enomatic machines. You can serve yourself from any of the wines in our ‘Wine Vault’. You can choose from a selection of reds and whites, prices and tastes. 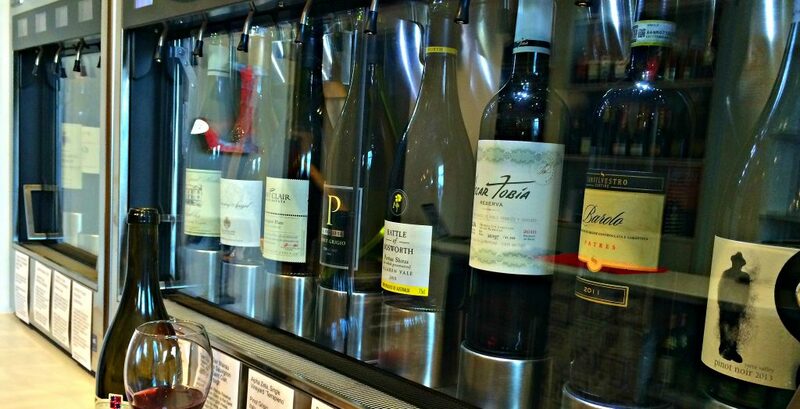 Simply credit your tasting card, pick up a glass and make your ‘Wine Withdrawal’ choice! Wines are dispensed in three measures giving you a great chance to find just the right wine before committing to a larger glass or bottle. Happy to settle in, why not purchase a bottle from our full range, sit back and enjoy it on site with a small corkage fee.